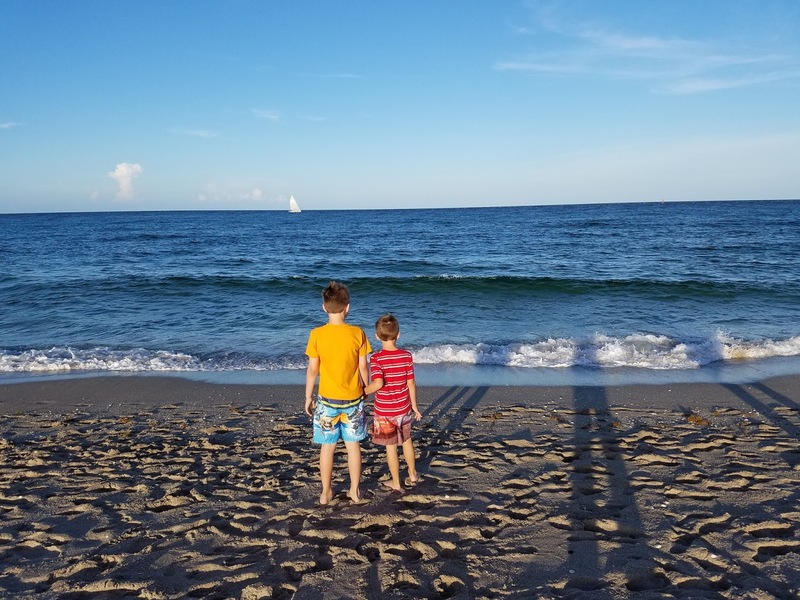 We had the joy of taking our first family trip to Florida! 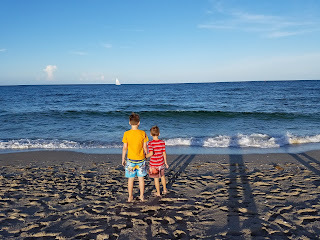 The boys had not seen the ocean for many years! I was absolutely amazed at the sheer wonder of the looks of joy on their faces, when they finally put their toes in the water! 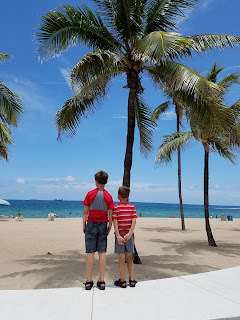 We took a short drive to Fort Laudredale, and the boys stood like this for a really long time. Our youngest son, could not get over how blue the water was. We took a walk down the beach and watched the ships in the water, we even saw a pirate ship on our journey! Our resort, had numerous amenities for families. 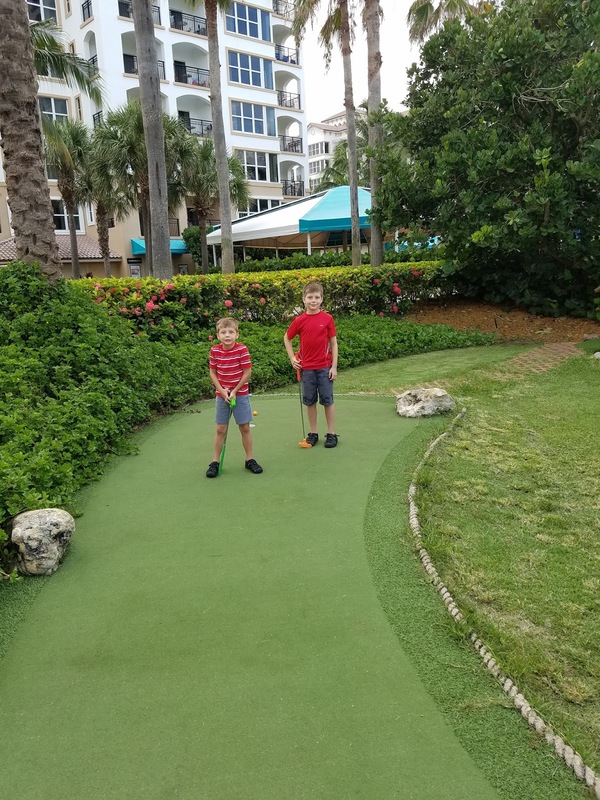 The kids loved playing mini golf, giant chess, and swimming in the saltwater pools! 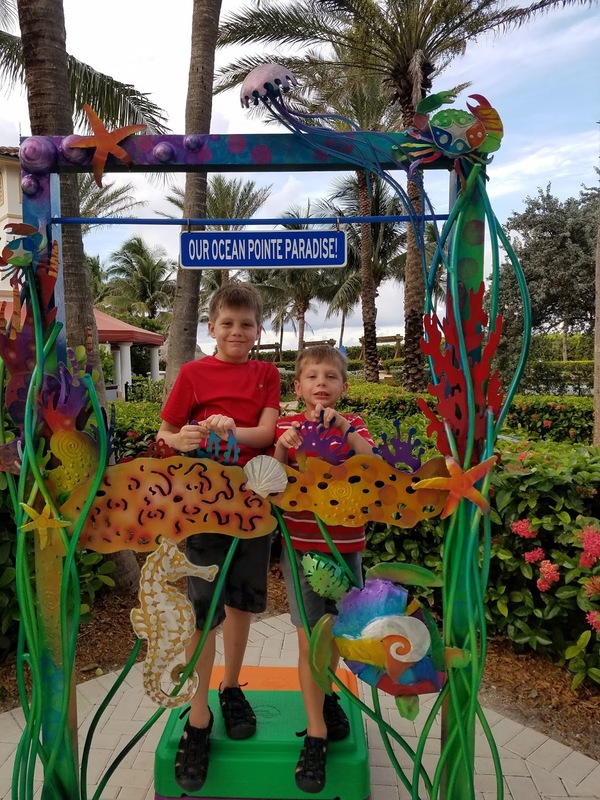 Each day, Ocean Pointe, hosted family fun evenings and crafts during the day! We really enjoyed the s'mores over an open fire! 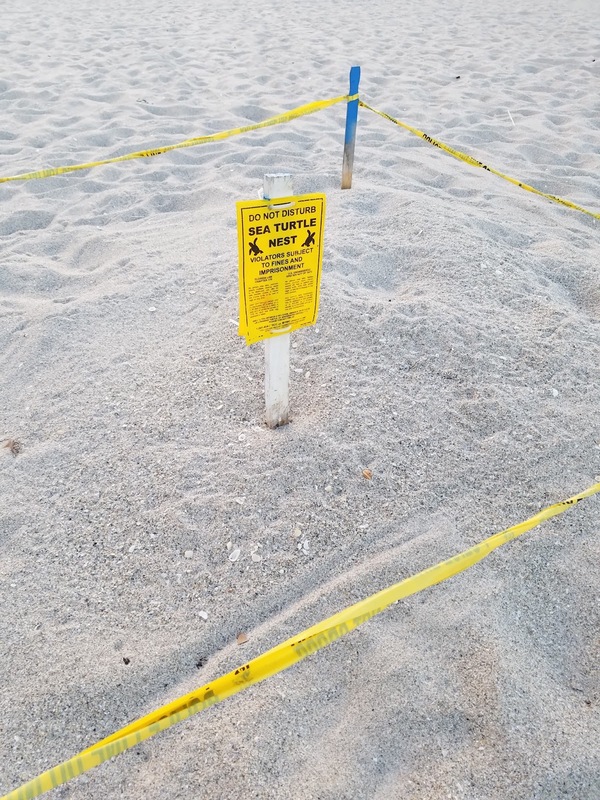 Our time in Florida, flew by! We cannot say enough good things about our Florida experience, at Ocean Point, West Palm Beach! We can not wait to make more memories, in Florida! ***This is NOT a sponsored post. All thoughts and opinions are my own, and in no way swayed by the resort that we stayed in.